Competition is the driving force that pushes any business forward. I believe that if people have never had any kind of competition, there wouldn’t have been any innovations in business. However, it seems a bit scary to get involved in business when there are “monster” brands controlling the situation across various niches. Did you know that you could use a lot of your competitors to your own benefit? This guide is aimed on revealing three great ways of doing competitor analysis that will help you crash your competitors and dominate the niche. Let’s get off the dime! It won’t take lots of your time and efforts to find the leading competitors in your niche. Just try to step in your potential client’s shoes. Then, proceed with the search queries your customers would use to stumble upon your website. 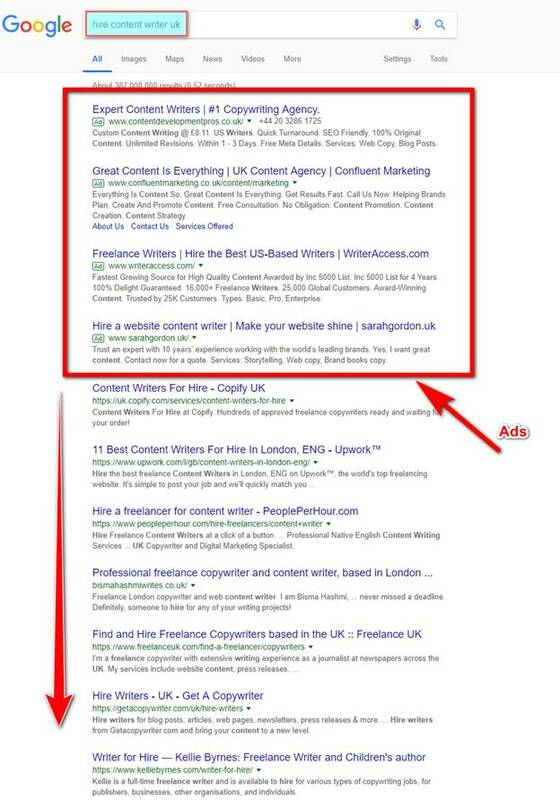 As you can see, there is a list of your potential competitors who take positions in the top 10 of Google results. Apart from those websites that are marked as “Ad”, you should take into account the websites that got their positions thanks to the organic traffic they gained. Now choose the competitors you want and analyze their websites’ metrics. DR (Domain Rating) shows a strength of a target website’s backlink profile on a 100-point scale. The higher the scale, the stronger backlink profile of a given website is. Referring Domains report shows the total number of unique referring domains that point to a target website or URL. Backlinks report shows the total number of backlinks that point to a target website of URL. Not to be confused with the number of linking pages, as one page can contain multiple backlinks. Exploring these stats you will get an extensive analysis of your competitors’ websites. Your next step should be an analysis of three main attributes of any website, like traffic analysis, link growth analysis, and content analysis. I hope you are aware of traffic importance. Thus, I won’t explain why you should gain more traffic to your website than your competitors. However, those big “names” in your niche have already gained lots of traffic to their websites but you have not yet. It is time to turn the tables! What are the main countries that deliver traffic? What are the main sources that bring traffic to your competitors? What are the websites that send most of the referrals? To get answers to these questions I recommend you to run a few reports using the SimilarWeb tool. The first report that you see gives you the entire information on traffic that the particular website gets. You can see the number of total visits the website gets, average visits duration, pages per visit, and bounce rate. But let’s get deeper into the analysis and find the answers to the questions I have listed above. This infographic clearly shows that the main countries that deliver the most traffic are the United States and Canada. Here you can see top referring sites and top destination sites that bring traffic to your competitor. Other than that, you can get more detailed information on traffic with the help of a few reports that Site Explorer tool offers. ‘Organic search’ report covers such aspects of traffic analysis as the estimation of monthly organic traffic for a target website, countries that bring the most traffic, top 10 competitors of a given website, traffic value, etc. You can dive deeper into analysis and check out an ‘Organic keywords’ report and get the information on the keywords that bring traffic to your competitors. It is utterly important to keep an eye on link growth of your website. And it is a way more important to watch over your competitors’ link growth. Link growth can be counted by the numbers of referring domains a website has. Thus, you should analyze your competitors in terms of acquiring new referring domains during a certain period of time. I decided to review how many new referring domains adidas.com could gain for the past 60 days. The results speak for themselves – 4K new referring domains. I advise you to analyze this graph from time to time to see if there are any unexpected spikes of link growth. These spikes might be an indication of some kind of SEO activity. It could be even a negative SEO attack! This is the last, fifth step of competitor analysis. Now I’m going to tell you how to analyze competitor’s content. These three content analysis steps will help you not to be an outsider in your content marketing strategy. I am sure you’ve already realized that competitor analysis is a serious ongoing process that requires time and patience. However, if you want to succeed in your business, you MUST analyze your competitors aggressively. Follow these five steps I’ve demonstrated in this article and you will push your online business forward. Feel free to comment and share this post across your socials.